Are you looking for a way to replace your missing teeth? At Churchill Smiles Dentistry we are proud to offer our patients the option of replacing missing teeth with dental implants. 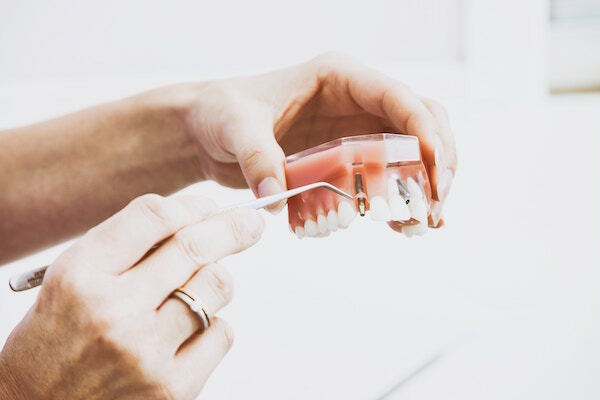 To help get a better idea if dental implants are the right choice for you, we have briefly outlined two options: dental implants and dentures. A dental implant is an artificial tooth root that is placed in the jaw bone and will act as the anchor for a crown, bridge, or denture. Dental implants are not the right solution for all patients as you need to have some factors in place such as enough jaw bone to hold the implant, healthy gums, and general good health. You will discuss these factors with your dentist at your consultation. Unlike a dental implant, which can replace one tooth or multiple teeth, a denture replaces a set of teeth. Dentures are also removable. Dentures are best suited for patients whose bone or neighbouring teeth are not strong enough to hold an implant or bridge. Book a consult and get one step closer to your dream smile!